The Human Dymensions SEEK (Social psychology Event Exploration and Knowledge) Program is an event investigation program based on the foundations of a social psychology of risk. 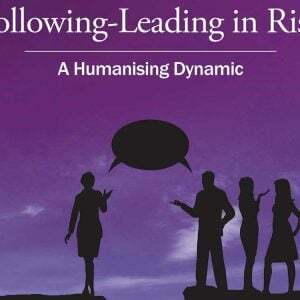 The program is unique as it applies the key principles of the social psychology of risk to the way events are investigated. The Program assumes that events and investigations are conditioned by social arrangements and that social arrangements are a significant determinant on decision making and behaviours. Who am I, the investigator? Disclosure and confidentiality. Better understand themselves and the role and subjectivity of event and incident investigation. Develop skills in causation sifting and understanding causation bias. Study the Danny Cheney case and what happens when investigations are distorted and unprofessional. Develop skills in perception and defensiveness detection. Learn skills of temperament type and engaging others in investigations. Understand how culture impacts on events and investigation. Develop effective questioning skills and interviewing techniques that support a social psychological approach to event investigation. Be equipped with a range of Human Dymensions tools to better manage event and incident investigations. Develop strategies to incorporate social psychological perspectives in report writing. The nature of the program is premised on the importance of discovery in learning. Therefore, the program includes discovery learning in the format and experiential learning strategy of the program. The program has a variety of input including: experiential learning, case studies, interactive activities, lecture, in-class practice, walks, micro-training exercises and refections.